Albright Insurance Agency, Inc., originally a division of Albright Title & Trust Company, began operations in 1899 in Newkirk, Oklahoma. The company was incorporated subsequent to statehood and underwrote title insurance, completed farm and single family mortgage loans throughout northern Oklahoma, performed abstracting in Kay County, acted as trustee on various trusts and operated an insurance agency. Albright Insurance opened a branch office in Ponca City in 1942 and spun off the insurance agency in 1972 as a separate corporation. In 1976, Albright Insurance opened the Perry, Oklahoma office with the purchase of the Ley-Anderson Agency for consolidation therewith. Another office was opened in Tulsa, Oklahoma in 1985, and was created by the purchase of the Leslie Insurance Agency, Inc. The Leslie Insurance Agency and the Albright Insurance Agency, Inc of Perry, OK have now been consolidated within the Albright Insurance Agency, Inc. in Ponca City, Oklahoma. Our Agency has been contracted to write with many licensed carriers and excess surplus lines carriers. 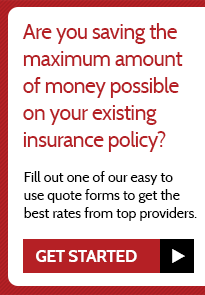 We would be happy to assist you with your personal or business insurance needs. Our focus is to write insurance business in the State of Oklahoma, Kansas, Texas, Arkansas and Missouri. Please contact one of our friendly agents for quotes on your Auto, Home, Business or Workers Compensation insurance needs. We are members of the Independent Insurance Agents of Oklahoma (IIAO) and the National Alliance. Albright Insurance strives to be the BEST in Customer Service! We invite you to give us a try!